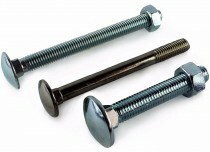 A range of coach bolts, widely used in the construction industry for timber to timber bolting applications. Coach bolts, also commonly known as carriage bolts or cup square hex, have a large diameter shallow domed head, with a square underneath. During application, the square sinks into the timber to stop to coach bolt from rotating when tightened. 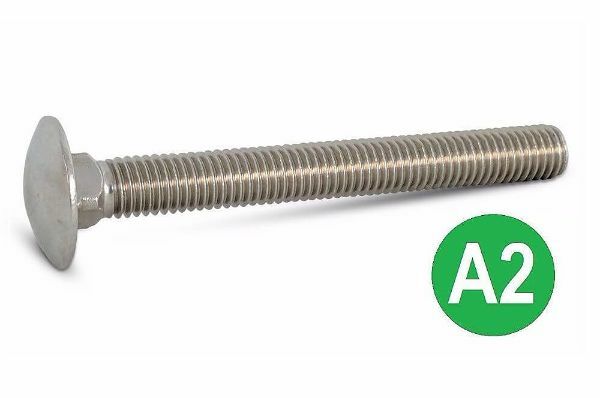 Our range of coach bolts includes bright zinc plated mild steel and A2 stainless steel, as well as a few sizes of high tensile coach bolts. Looking for coach screws? Click here. Below is a useful reference table for technical data regarding coach bolts and carriage bolts to DIN 603 specifications. DIN 603 or DIN 555?